By Calen Henry. None of the Beastwars albums are new, but in the fall the band made all their albums Pay What You Want on Bandcamp (until April 2018) to support singer Matt Hyde's cancer treatment so it seems like a good time for a retrospective on their trilogy of albums. None of the Beastwars albums are new, but in the fall the band made all their albums Pay What You Want on Bandcamp (until April 2018) to support singer Matt Hyde's cancer treatment so it seems like a good time for a retrospective on their trilogy of albums. 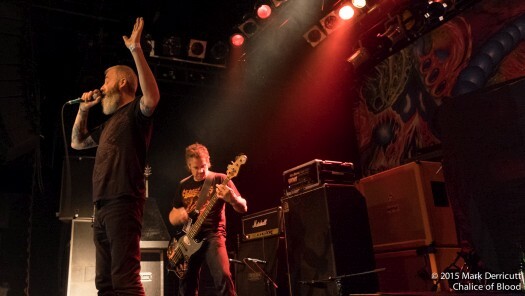 Thus far the band has recorded a trilogy of albums focusing on a combination of apocalyptic description and introspection; either describing destruction or musing on coming to terms with the resulting death. 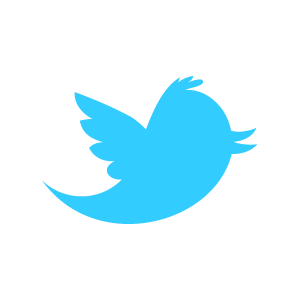 The albums aren't exactly concept albums but along with the overarching concepts there are recurring images; birds, mountains, rivers, and magic that represent the struggles with life and death on which the band focus. The band's original goal was a trilogy so it remains to be seen if they keep going. Either way, they've recorded an exciting trilogy of albums like no other band, in a crowded and sometimes boring genre; stoner doom. 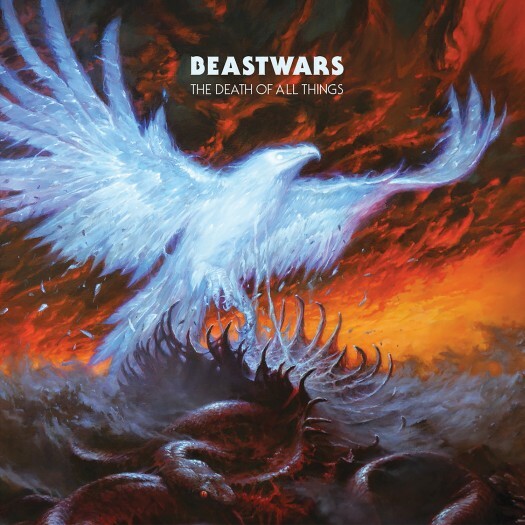 Beastwars came to my attention in 2013 with Blood Becomes Fire but I didn't really get them until I went back to the self-titled, specifically the opening song "Damn the Sky". Photos by Mark Derricutt / Chalice of Blood. Beastwars appears to be set in a time of magic and myth with references to ships as well as magic, while Blood Becomes Fire is set in the future and features the point of view of a time traveling astronaut. It also marks a musical shift for the band; both noisier and more melodic. 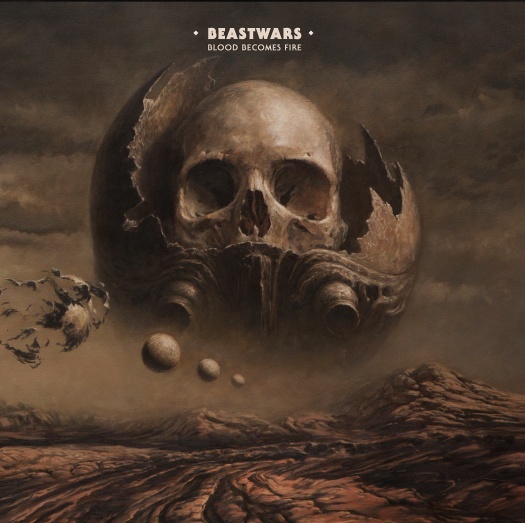 Where Beastwars takes the band's mantra, "Obey the Riff" pretty literally, Blood Becomes Fire anchors the huge guitar riffs with more angular bass (and sometimes guitar) riffs but introduces more melodic guitar leads. It takes the band's unique spin on stoner doom to a new level, really giving the band a sound like no one else. It also works with the lyrical shift, from impending doom to the aftermath of apocalypse. The final album in the trilogy, The Death of All Things, mellows out the band's overall sound but maintains a level of ferocity, especially in the vocals, that makes for a sound unmatched in modern metal. Though the album features the band's lyrical touchstones like mountains, rivers and magic, the album is less concerned with description and more with thoughts on the death of all things. The lyrical shift, combined with the musical shift makes the album all the more successful. 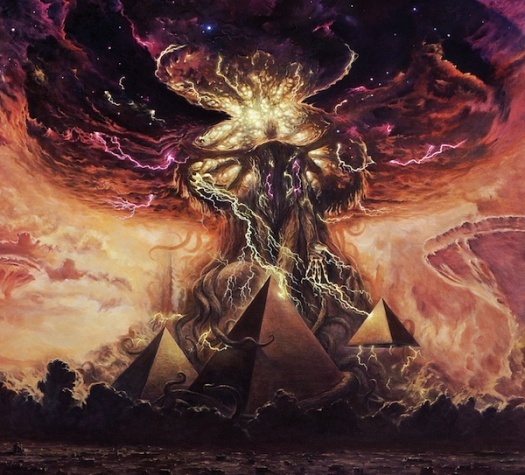 The more mellow, deliberate tracks are a master class in stoner doom composition. Most bands can only wish to write one track as good as "Witches', let alone a whole album. I'd also be remiss to talk about Beastwars without mentioning Nick Keller's fantastic cover art for each album. His vivid paintings give the slight visual push that helps transport you to the worlds the band creates. I'm sure the LP sleeves are amazing. The only blemish on the band's catalog is production. All three albums are mastered very loudly. It's only truly a detriment on the first record which has noticeable clipping, but it can make all three records, back to back, an exhausting listen. And, at 40 minutes apiece, the albums beg to be binged. That aside, Beastwars are something special. They took a tired genre back to its roots and built a characteristic sound through three musically and lyrically cohesive albums, each having its own sonic identity. Anyone with even a passing interest owes it to themselves to check them out and let’s hope there's more to be heard from them.